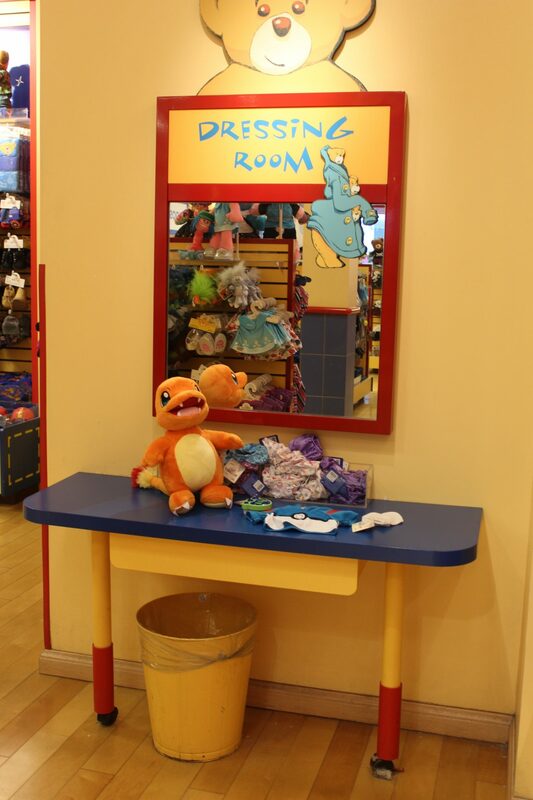 One store I have a hard time passing without comment from son is Build-A-Bear. He absolutely loves going inside to build his own bear, or find accessories for his other bears. 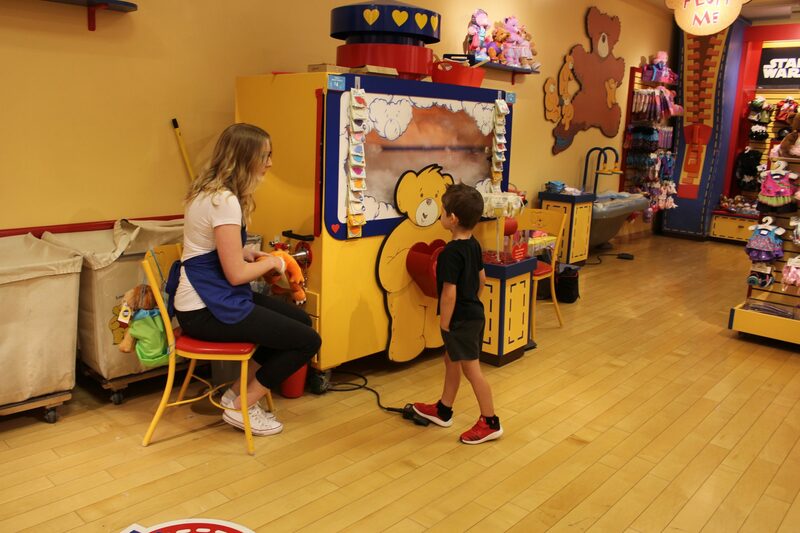 To celebrate National Teddy Bear Day on September 9th we were invited to build a bear together, and my son had so much fun! 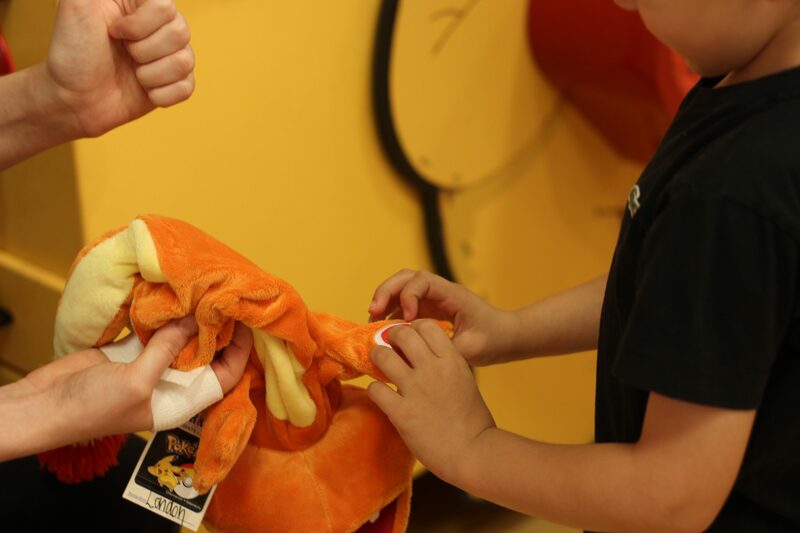 If you haven’t had the Build-a-Bear experience yet, I’ll tell you all about ours so you can have an idea of what to expect! First off each child needs to choose their bear. 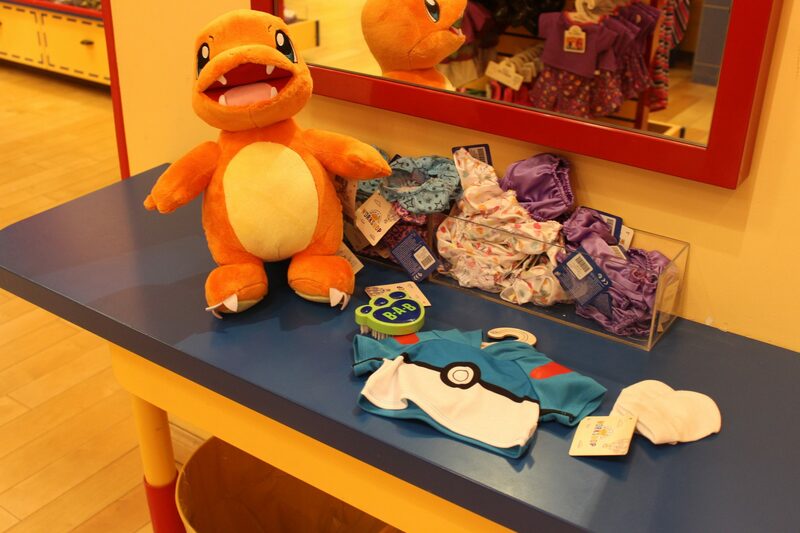 My son is LOVING Pokemon right now, and the only character he didn’t have yet was Charmander. 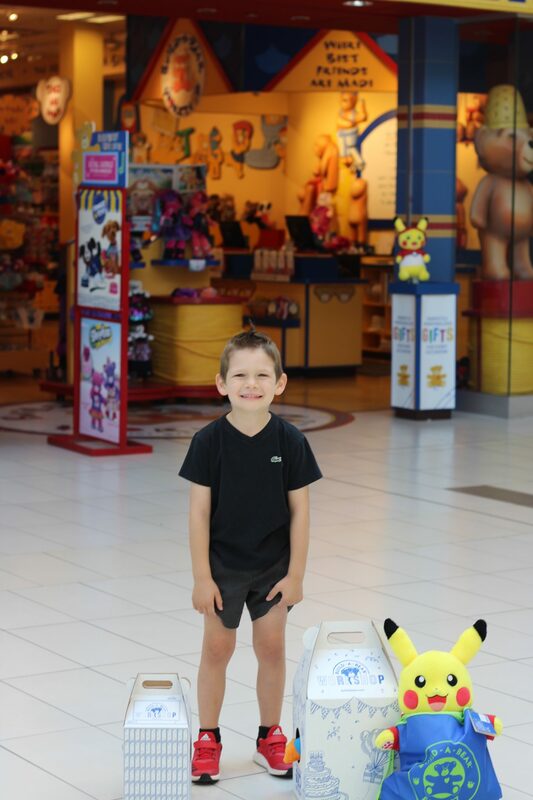 He decided to bring one of his favourite Pokemon bears with him so he could “introduce” the two of them which was cute! Next up he had to decide if his character would either make a sound, or have a heart beat. He chose both, so his bear roared and had a head put inside the bear. 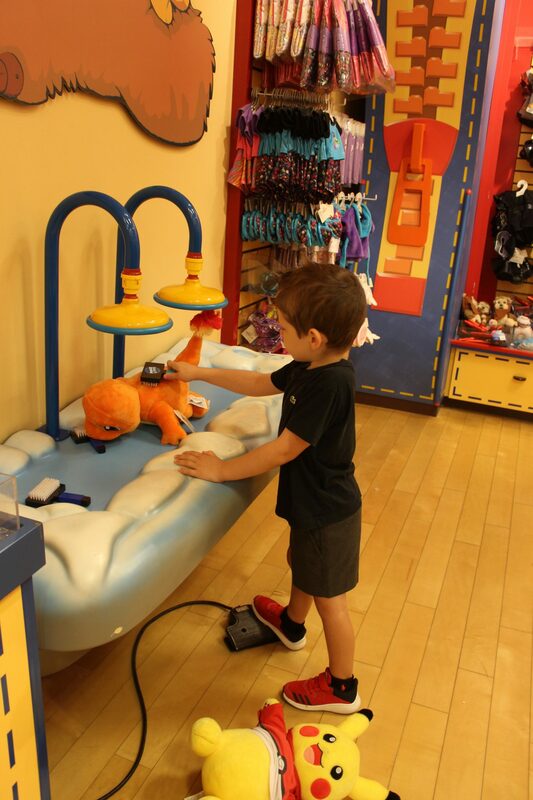 Next up after his bear was filled, he went to the washing station to give his bear a bath and blow dry! So adorable! Next up it was time to choose his bear’s accessories and dress him! This part always makes me laugh the most with my son because he chooses the funniest accessories. 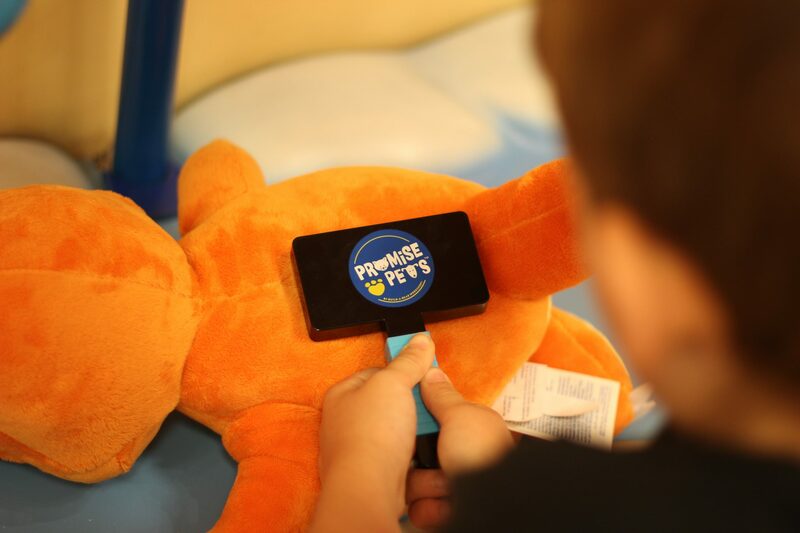 This time he chose a Pokemon sweatshirt, a brush, and two pairs of socks because he said the bear should change his socks each day. He also chose a mini bear for his bear. So funny! Once his little bear was dressed he named him, and registered his birth certificate. 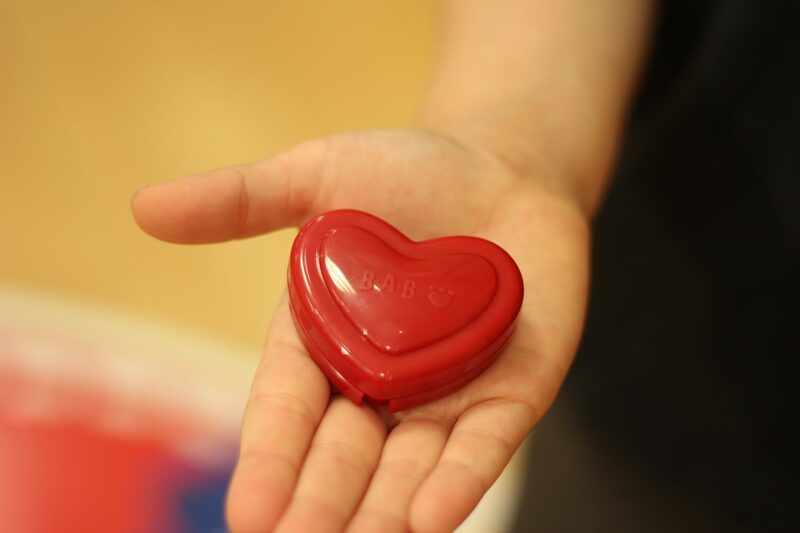 This part was adorable as well because my son had to write his name on a keyboard (something new for him! 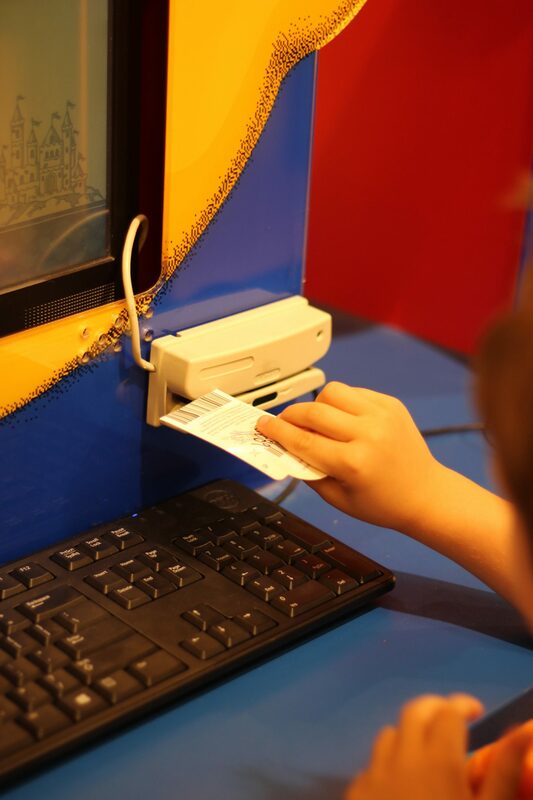 ), scan his barcode, and have the certificate printed. It felt very official. 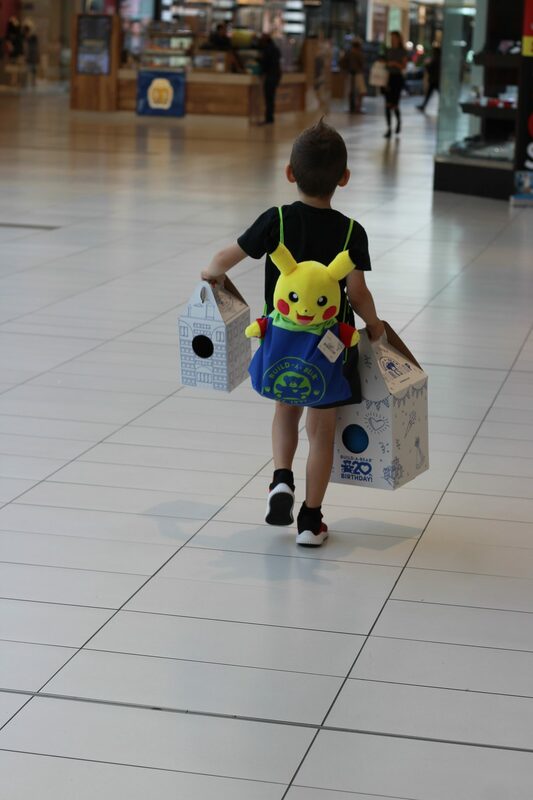 Once he was done he was excited for the Build-A-Bear box because he couldn’t wait to colour them when he got home. He absolutely loves going there, and he was smiling all day showing off his new bears and colouring their “homes” he called the boxes. 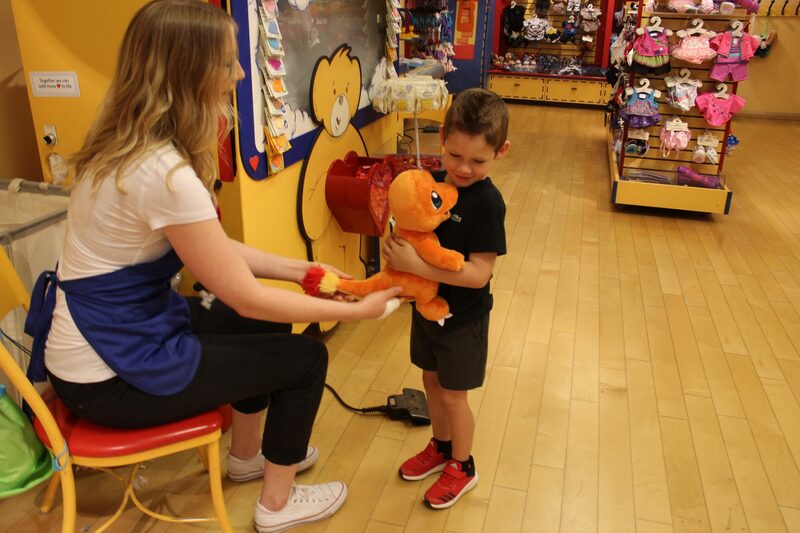 To celebrate National Teddy Bear Day, on Friday, September 8, and Saturday, September 9, guests of Build-A-Bear Workshop stores can make their own limited-edition National Teddy Bear Day Bear for just $5.50 (CAD), plus applicable taxes, while supplies last. Isn’t that amazing? It’s such a great deal! Just a note – there is a limit of five limited-edition bears per guest. 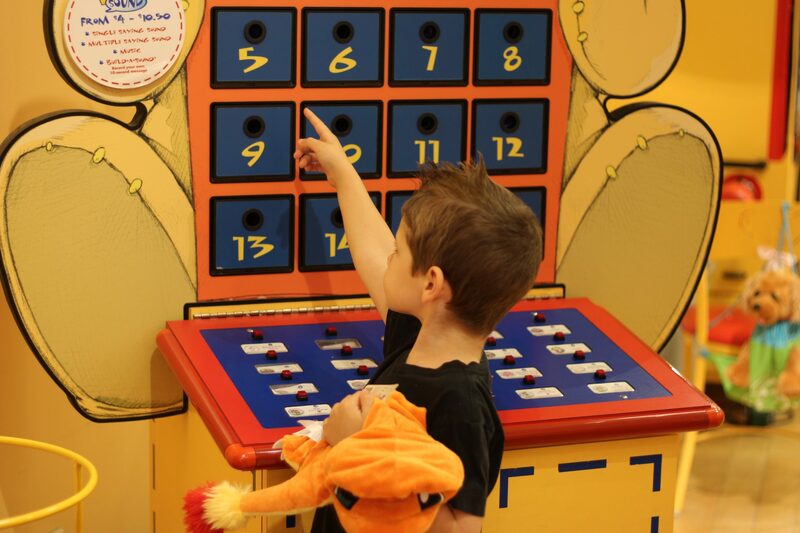 You can visit buildabear.com/national-teddy-bear-day/ to learn more about the in-store event and to find your closest location. 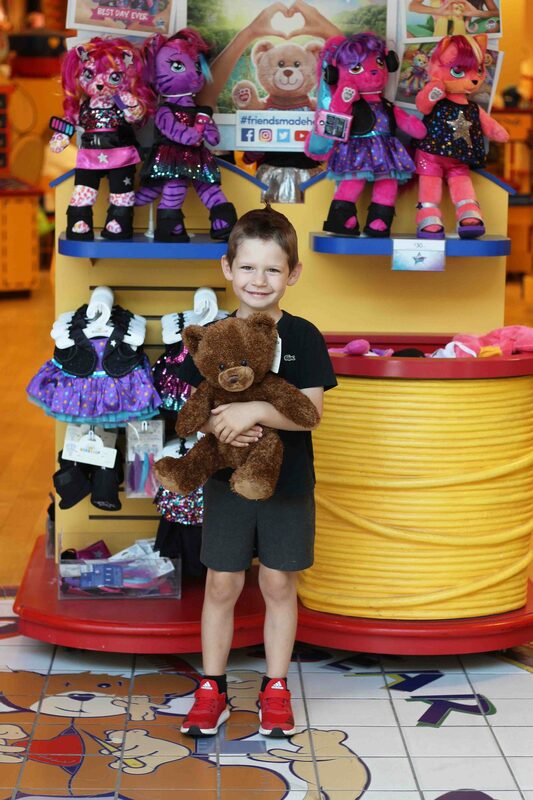 To celebrate National Teddy Bear Day I’m giving away a $50 gift card to Build-A-Bear to one lucky reader below! This contest is open to Canadian residents only, and there are multiple ways to enter. Good luck!